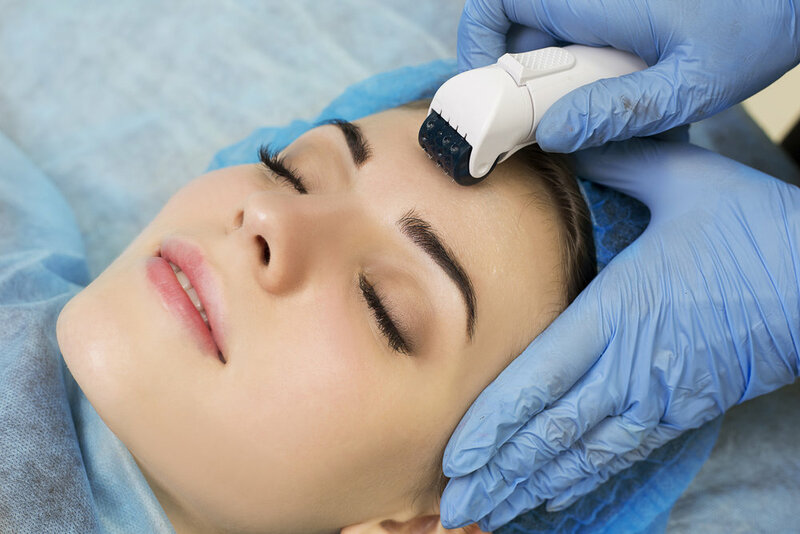 A micro-needling treatment uses a fractional micro-needling device that works to tighten, lift and rejuvenate the skin. It’s effective in reducing fine lines and wrinkles, stretch marks, surgical and acne scars. Fractional micro-needling or collagen induction therapy (CIT) uses needles to pierce the skin in a controlled and precise pattern. Compared to other skin rejuvenation treatments, it is safe on any skin type, has a short treatment time and minimal discomfort with virtually no downtime. Micro-needling : a revolutionary breakthrough for beautiful skin. -It tightens, lifts and rejuvenates skin. Q: Is there any pain with a micro-needling treatment? A. Depending on the area being treated and the aggressiveness of treatment, there can be some slight discomfort during the procedure. A topical anesthetic can be applied 15 - 20 minutes prior and is removed before the micro-needling treatment begins to help alleviate discomfort. Q: What are immediate after effects of micro-needling? A. Redness, or erythema, of the skin can appear, as well as possible pinpoint bleeding. The severity of erythema depends on how aggressive the treatment was performed and individual skin type. Minimal swelling may occur and be more noticeable on the second day. Micro-needling’s post procedure care will help with redness and swelling. A. Benefits of the micro-needling can be seen after just one treatment. It is recommended that 3 - 5 treatments, spaced 4 - 6 weeks apart, are performed for maximum results. In cases where a more aggressive treatment schedule is needed such as acne scar revision, a greater number of treatments may be necessary for maximum results. Consult with your practitioner.